In 1980, a small group of Essex County houses of worship saw the need for a coordinated local effort of food distribution to alleviate hunger. 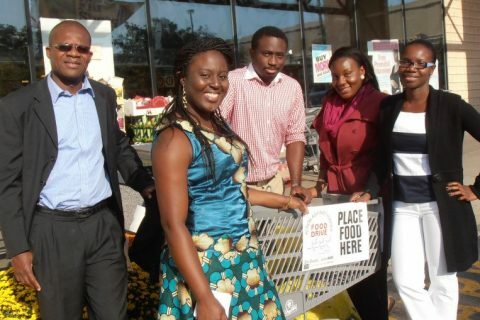 They envisioned a network of donors, food pantries, and agencies all working together. Thus, Meeting Emergency Needs with Dignity (MEND) was formed. Funds were donated, a bank account established, and The Archdiocese of Newark contributed office space. Andy Ball from the First Presbyterian Church, Caldwell, took a one-year social service leave from Xerox to work with Kathleen DiChiara in building the MEND network of pantries and donor organizations. It was at this time the Archdiocesan Emergency Food Program (AEFP) was started, with Kathleen serving in the dual role of Director of the AEFP and the MEND Coordinator. 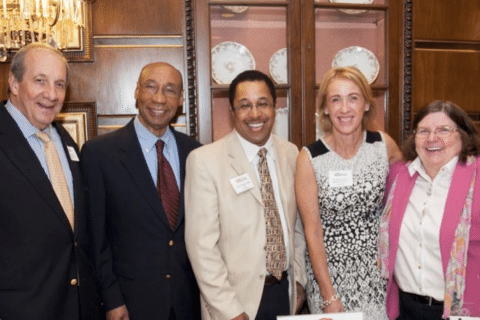 When Kathleen left to form the Community FoodBank of New Jersey, Catholic Charities, the Archdiocese’s social service arm, assumed responsibility for AEFP and MEND. Sharon Reilly-Tobin succeeded Kathleen as the Director of Catholic Charities’ Emergency Food Network and as the MEND Coordinator, and served in this capacity for over 33 years. In 2010, MEND became a 501(c)(3) tax-exempt organization, and the MEND Board of Trustees was formed. MEND developed a strategic plan for its food pantry network that emphasized community outreach, food support, and infrastructure to help clients move beyond the food pantry toward self-sufficiency. In 2015, as the number of patrons its network served continued to increase significantly, MEND hired Robin Peacock as its grants and special projects consultant to help grow its visibility and expand and diversify its funding. 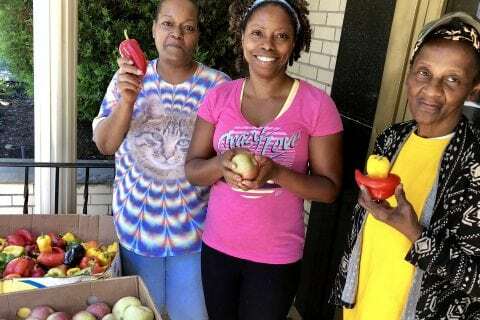 MEND launched its “Healthy Pantries, Healthy Patrons” program, the goal of which is to increase its food pantry patrons’ access to fresh and healthy food, as a pilot in 2016, and expanded it to a year-round program in 2017. Sharon left Catholic Charities at the end of 2017, and MEND appointed Robin Peacock as its first Executive Director. Sharon continues to serve on the MEND Board of Trustees. Also in 2017, in recognition of the economic challenges our patrons face, MEND changed its name to Meeting Essential Needs with Dignity. No longer do we find that those in need are hungry only on an emergency or occasional basis. Sadly, hunger and poverty are more often chronic and lingering. High housing and medical costs, pervasive structural unemployment, and slow economic growth remain, while government spending for social welfare continues to decrease. With grant-funded programs, deeper resources, and partnerships targeted toward improving our patrons’ health, our hope is to position MEND to solve for these challenges and allow our patrons to achieve more independent and dignified lives.